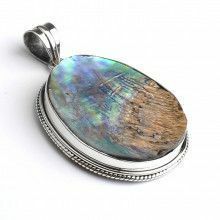 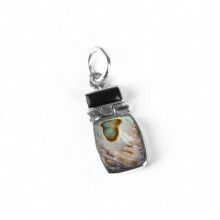 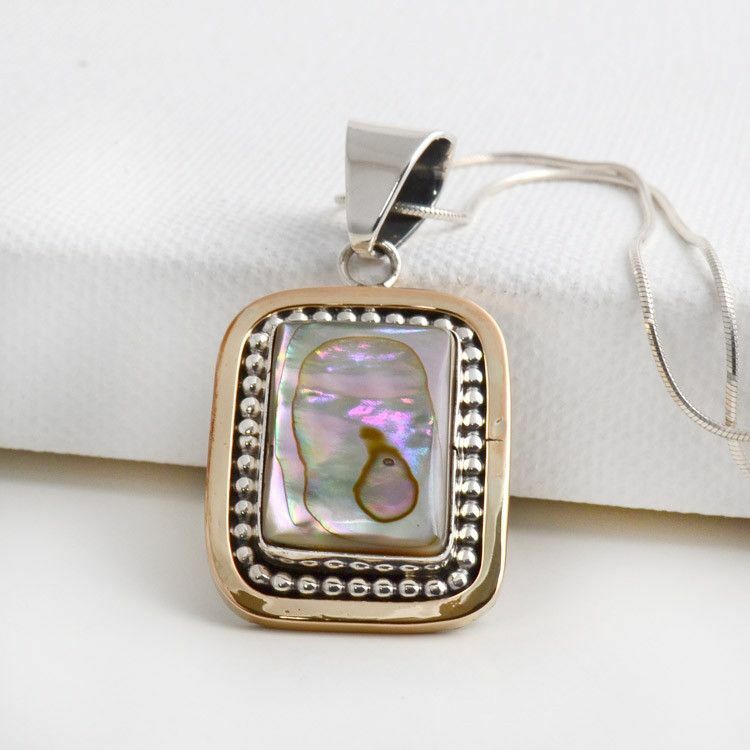 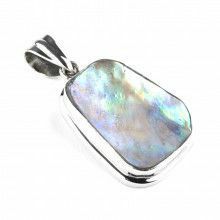 This square shaped abalone pendant is a beautiful piece of Native American jewelry. 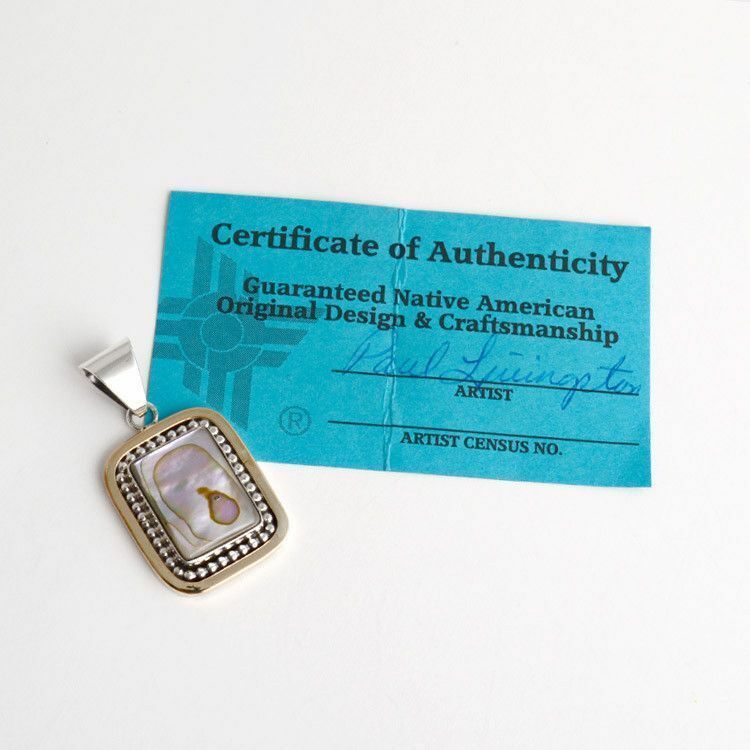 A certificate of authenticity is included with the pendant, and it is signed by the artist, Paul Givingston. 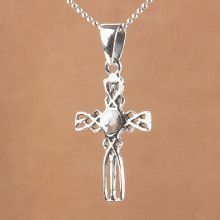 The stone sits in sterling .925 silver with 24K gold plating. 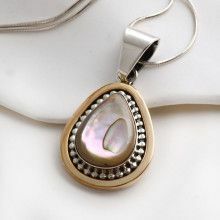 Each pendant is hand crafted with a hand picked stone, thus your pendant may vary slightly from the one pictured here. 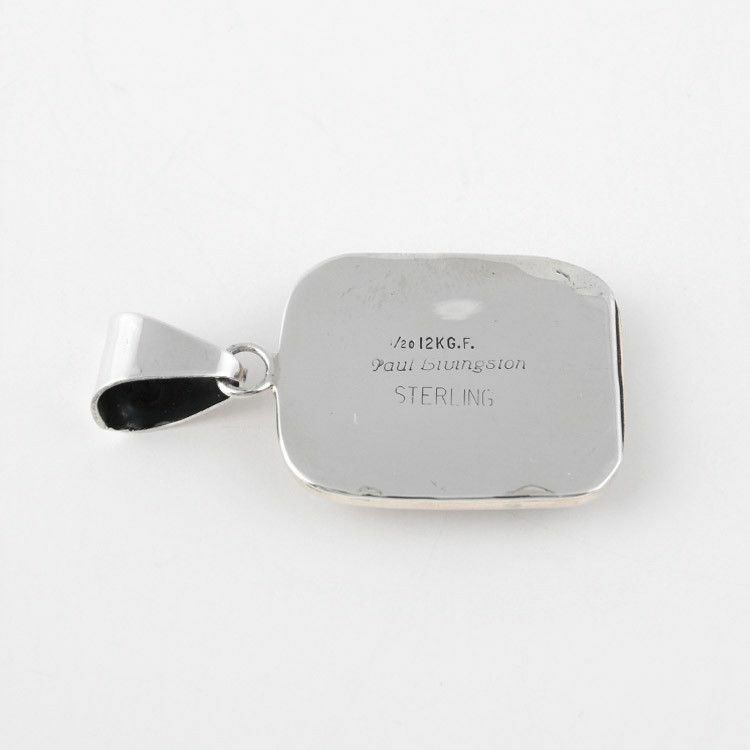 Pendant measures about 1 3/4" x 1"